The Committee is setting the ticket prices based on the costs of the Reunion. They are $15.00 dollars for the Friday Meet and Greet with a cash bar and finger food. 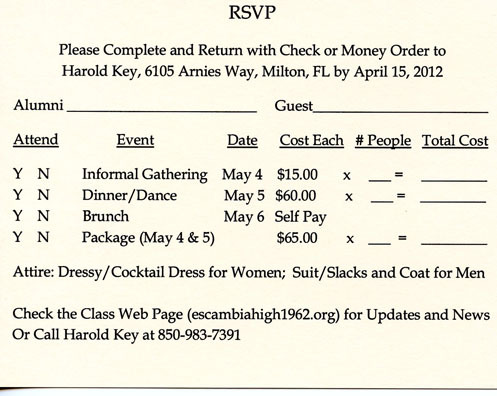 The Saturday night Dinner/Dance is $60.00 dollars with a sitdown dinner. You can attend both at a package price of $65.00. Sunday Brunch at Jaco's will run between $7.00 and $12.00, your cost. 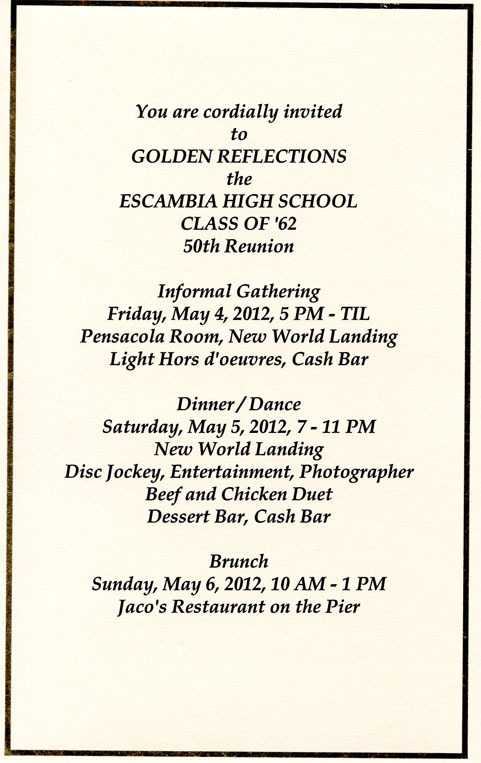 The price for Meet and Greet is the same as the 45th Reunion, the Dinner/Dance is only $5.00 dollars more than the 45th, and the package price is the same. Not bad given inflation and the current economy!